America’s drone strike program is a shockingly nonpartisan issue. 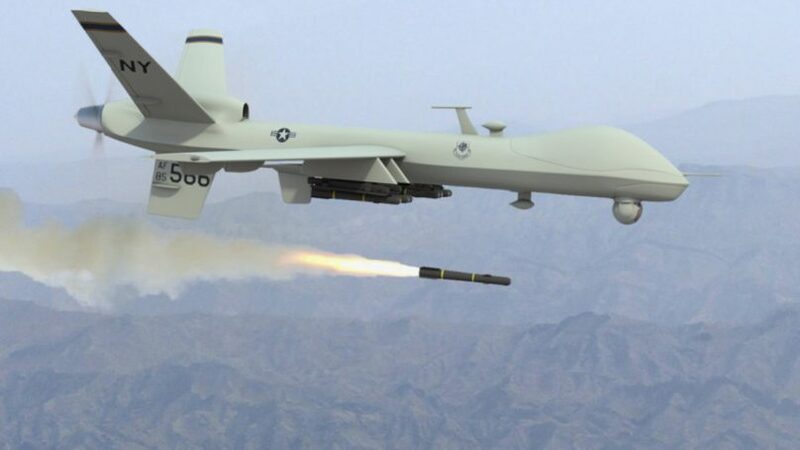 There are far-left groups in loud opposition to it, but by and large, Americans from both sides of the political aisle are okay with the government’s usage of unmanned drones to kill terrorists abroad, even if it sometimes comes at the loss of civilian lives. Given the current divide in American politics on nearly every foreign policy issue imaginable, it is highly unusual that a majority of both Democrats and Republicans approve of current drone strike policy, per a 2015 Pew poll. In light of this, it is worth considering whether or not the drone program should be treated with more skepticism. There are two different ongoing types of drone usage. Drones can either be used in active war zones, or in areas without current “active hostilities.” Defining what is or is not an active war zone is an issue in its own right. During the Obama administration, Iraq, Syria, Afghanistan, and parts of Pakistan were labeled as war zones where the U.S. was engaging in the fight with ISIS or al-Qaeda. In March of last year, the Trump administration was reportedly trying to add parts of Yemen and Somalia as active zones, but Yemen, Somalia, Libya, and parts of Pakistan are the areas of non-active hostility where the U.S. has used drones for lethal force in the past. Issues with U.S. drone usage can be found in both spheres of activity. In the active war zones, U.S. use of unmanned aircraft to target ISIS forces in Syria and Iraq certainly played a role in the loss of ISIS territory in the past year. Yet, there are also conflicting reports on the amount of civilians killed in these air raids. According to the U.S. military coalition operating in Iraq, only 466 civilians have been killed since 2014, as of this past November. However, Airwars, an independent organization covering U.S. coalition airstrikes, estimates there have been 5,117 civilian deaths caused by U.S.-led strikes in Iraq and Syria over that same time frame, 11 times more than the official number The difference in those numbers calls into question the transparency of the coalition’s self-reported figures. A New York Times Magazine story corroborated the Airwars numbers. The investigation shows that many civilians who are killed by strikes are not counted as civilians, but instead are miscounted as combatants. The Times report suggests that oftentimes the blame is not in deceiving accounting, but in faulty intelligence prior to the attack. Problematically, despite multiple civilians having come forward post-attacks looking for reparations from the U.S. for injuries or loss of loved ones, “not a single person in Iraq or Syria has received a condolence payment” according to the same Times story. Interestingly, approximately 55 percent of those civilian casualties have occurred under the Trump administration. Perhaps the numbers have spiked under the Trump administration simply because escalation of conflict with ISIS coincided with his tenure in office, but if thousands of civilians really are dying, the U.S. public deserves more transparency about the nature of these strikes. It is absolutely possible the benefits reaped from pushing back ISIS outweigh these civilian losses, but without more credible information about civilian and non-civilian death rates it is impossible for the U.S. public to tell. The issue of confidential information should not apply to attacks that have already been carried out. Non-active war zones pose a potentially even more alarming lack of transparency and abuse of human rights. Obama had what was called the “drone playbook.” Created in 2013 and released in 2016, the officially termed Presidential Policy Guidance (PPG) outlined the rules by which the U.S. could use drones for lethal force outside of active war zones. This “playbook” stated that, among other things, targets must be “high-value terrorists” who “pose a continuing, imminent threat to U.S. person,” and any proposed strike had to undergo a high-level vetting process by U.S. officials. Additionally, there needed to be “near certainty” that no civilian deaths would occur. Despite all this, there were numerous reasons to believe the Obama administration shirked these guidelines. Since Trump has taken over, the drone program only seems to have expanded. In September of 2017, reports surfaced that Trump was poised to sign off on his own Principles, Standards, and Procedures (PSP) to replace the Obama PPG. Trump’s plan was said to remove the “high-value terrorists” requirement so any militant terrorist could be targeted, significantly lessen the vetting required to authorize a strike, expand the areas of non-hostility, and give the C.I.A. more power to autonomously conduct strikes without consulting with the Defense Department. It was never confirmed whether Trump signed off on these new rules, but White House leaks suggested Trump did end up signing a similar procedure in late October. Exactly what these new guidelines are the U.S. public does not know, but they probably adhere closely to the September reports. There was a flurry of coverage of this at the time, but the news has predictably died down since and there have been no updates on the current state of the rules, other than a strike in Yemen which may or may not have followed the rules. It is worth remembering, the U.S. is not formally at war with any of these nations. Yet, the Trump administration is undergoing operations to kill people who do not pose an imminent threat to the U.S., and they have scaled back the process needed to approve these operations. Is this not disturbing? In the 17 years since 9/11 the Executive branch has vastly expanded their use of military powers in a largely unchecked manner, and the drone program seems like only the latest in a long line of possible human rights violations. The “War on Terror” evokes a lot of “by any means necessary” type thinking from Americans, but that shouldn’t prevent the U.S. public from asking questions. Particularly on non-case specific material such as the simple rules of procedure for the drone program. There needs to be demand for greater transparency. There is a breadth of evidence out there that the drone program was abused under Obama, and has only increased its reach under Trump. It’s past time for the public to approach this issue with greater concern. Note: The number of deaths estimated by the AirWars report was previously erroneously listed as 31 times more than the official count. The number has since been updated to 11. I just want to tell you that I’m beginner to blogging and site-building and certainly loved your web-site. Most likely I’m going to bookmark your blog . You really have exceptional articles and reviews. Many thanks for sharing with us your blog site.